70-01-02 - Suzuki comments on how to use upstairs and downstairs rooms at new building (which is not what happened) and on oryoki (which was not to be used as much as the thought it would be outside of Tassajara). I see my name mentioned about something I don't recall. $50 donations to Peggy (Jiyu) Kennet's group and Blue Mt. Meditation Center (had no idea about this). Super low amounts to charge for coming summer's Tassajara guest season and for people's stipends. Other details. 70-02-15- Yoshida Roshi (not Yoshida) coming - female priest from Japan who taught us how to sew okesa and rakusu, the vestments signifying ordination. She had studied with Hashimoto who Katagiri studied with. It was that lineage, not Suzuki's that this sewing came from. 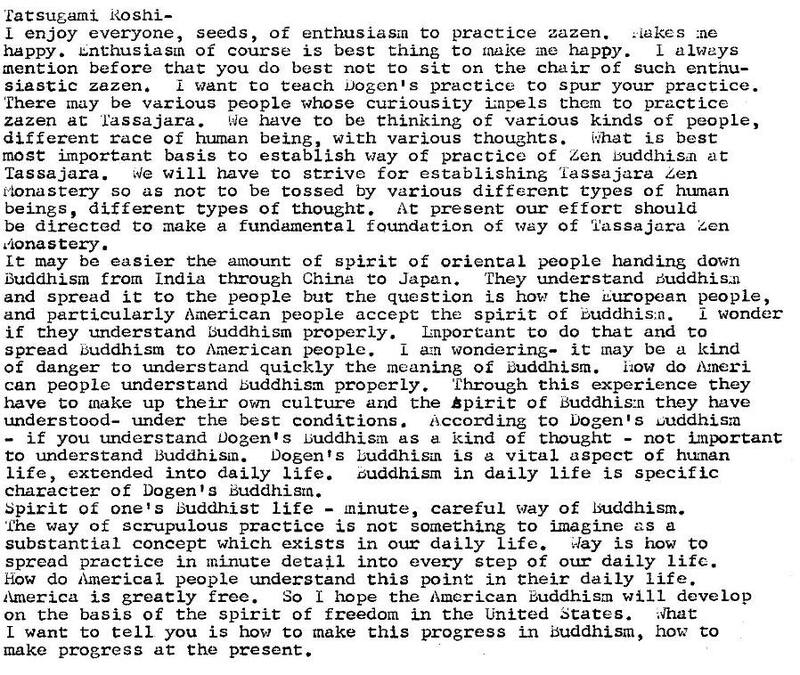 70-02-16 - Statements by Sotan Tatsugami and Shunryu Suzuki on establishing Buddhism in the West. 70-04-4,5 - Donnie Crockin (Don Deangelo) bread shop out of City Center. Ed Brown's cook book - Tass. Bread Book? discussion - if he latter, don't have the Shambhala contract yet but it came out that year. Room and board for City Center $90 a month, dorm charge $2.50 a night. 70-05-20,21 - - Ralph Silver and crew go to Tassajara to film segment for film, Sunseed (now on shunryusuzuki.com in film section). Rohmer's film didn't happen. Wonder if they have any footage? Beck's cabin didn't happen. Don't think Santa Barbara house happened. 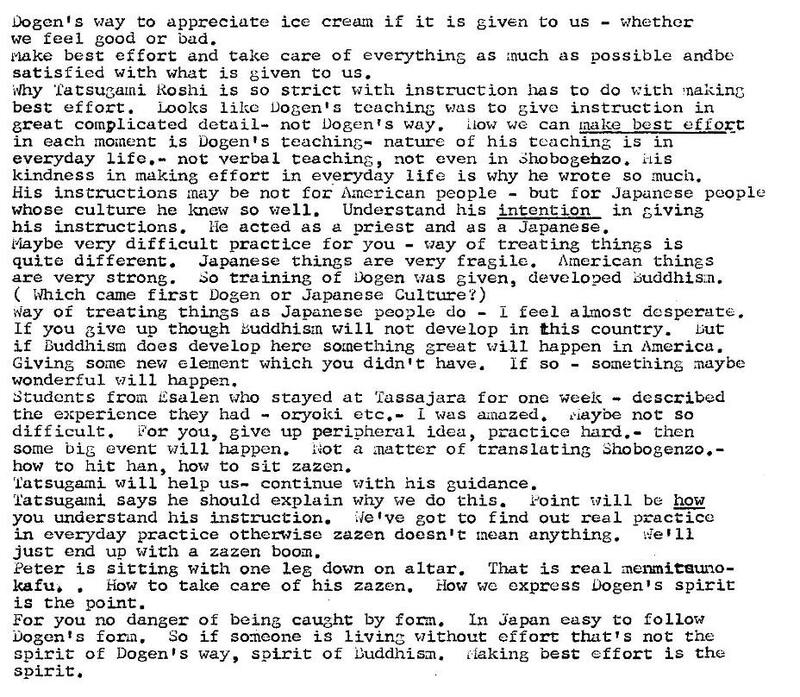 Dana Fraser didn't go to Tassajara to translate for Tatsugami. Other little stuff did happen. 70-07-22,23 - Couples don't need to use same name, just need permission from Suzuki or Katagiri to live together. $5,000 for building improvements City Center. New days they allocate 20 or 30 times that much for a study. Dan Welch to be next board meeting chair. 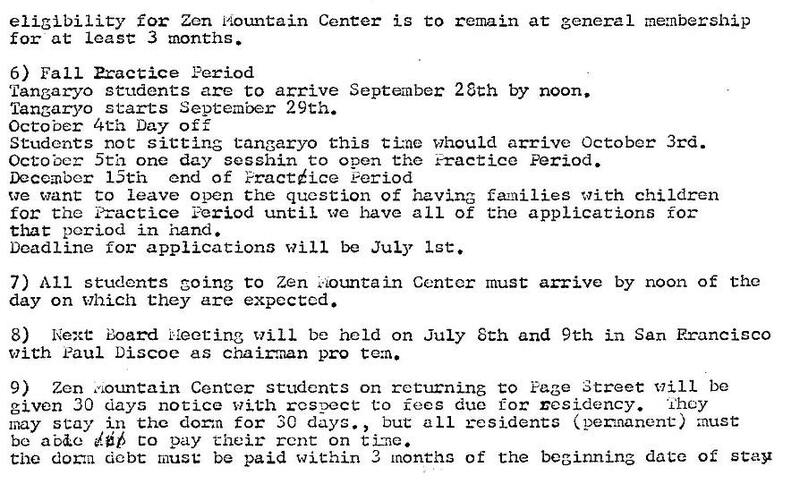 [These days Dan is back in Santa Fe planning on opening a small independent zendo]. 71-12-17 - The first meeting after Shunryu Suzuki died. Baker and Katagiri are now being called roshi. 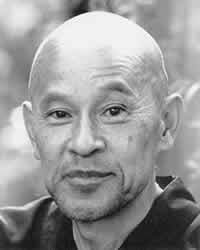 Don't think Shunryu Suzuki's picture is used on altars in zendos as planned at this meeting. Maybe it was for a while. Katagiri did preside over the 1972 winter-spring practice period as he had the prior fall-winter one but none after that. These are the last board and meeting notes in this series. It's the only one for 1971 and there were clearly some missing from earlier years. Made copies about twenty years ago in the records storage room at the City Center of the SFZC. These are the only ones that were found there.